When the company of Pippin steps onstage and tells audiences they’ve got magic to do, they really mean it. And part of this Tony-winning production's magic is watching the acrobats and gymnasts who populate the onstage circus, particularly the eye-catching, swoon-worthy Orion Griffiths. The strapping Griffiths has some of the show’s most jaw-dropping moments (beyond the abs), including the must-see-to-believe stunt below. 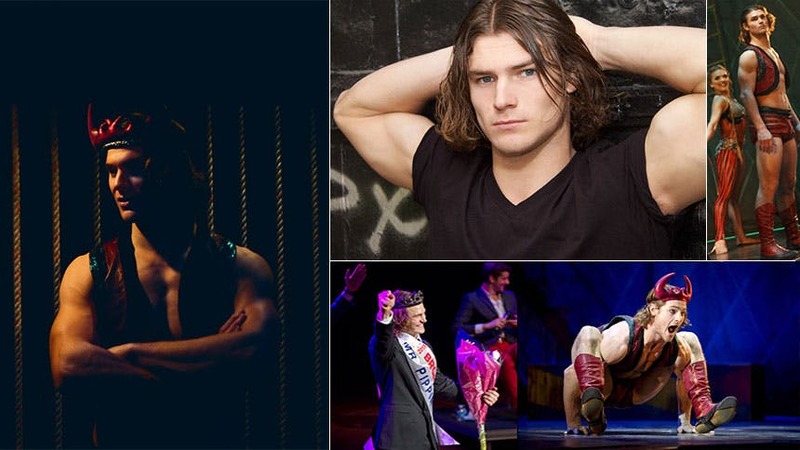 BroadwayBox caught up with Broadway Beauty Pageant winner to talk Pippin, strip teases and growing up in a traveling circus. I think everybody would expect me to say my moment where I open Act II, but I would like to say “Extraordinary.” I really get to live in the moment in that scene. When I won Mr. Broadway. My whole life I dreamed of being a movie star or an actor, and when I got to do that—and I found out it was for charity. My advice would be to look at what it is you want to do and focus on that one thing, because, as an acrobat, you are going to get hurt a lot. So just keep your head up and stay focused on that one thing you want to do. Keep heading towards it and you’ll get there eventually. The most relatable part for me is that he’s in my world and he’s trapped, because I know how he felt when I was growing up. I grew up in the circus being the odd one in the world; I would meet other kids and want to play with them, and they’d be like, “you’re in the circus; that's weird,” because they lived normal lives; so I could relate that Pippin feels trapped. Warm up first because without the warm up comes the injuries. The opportunity you have here in New York is unbelievable; it’s inspiring. But favorite thing to do: once a month my wife and I go to the 84th Street AMC with the recycling seats. It’s my favorite thing in New York City. It would have to be Italy (Rome and Sant'Angelo). And when you’re there, you have to get an ice cream sandwich; it’s ice cream with a pressed, glazed-over bun. It’s the best thing in the world. No way, I’m not wearing that. Nope. You got to make the shorts longer. See the super crushable Orion Griffiths in ‘Pippin’ at the Music Box Theatre.